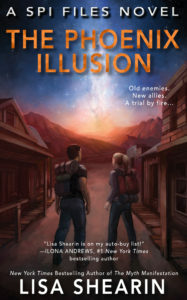 The Phoenix Illusion (SPI Files 6) is available now in print, ebook, and audio! I’ve uploaded the finished/final manuscript and cover art to the various distributors. The Kindle ebook version of The Phoenix Illusion is the first to go live for pre-orders. Here’s the link. I’ll post as the other links/versions go live. Enjoy!